Arianna Rosario (On Your Feet, Cats), Trent Saunders (Aladdin, American Idiot tour), and Omar Lopez-Cepero (On Your Feet, American Idiot) star as Eva Perón, Che, and Perón, respectively, in the Bay Street Theater and Sag Harbor Center for the Arts production of Evita. 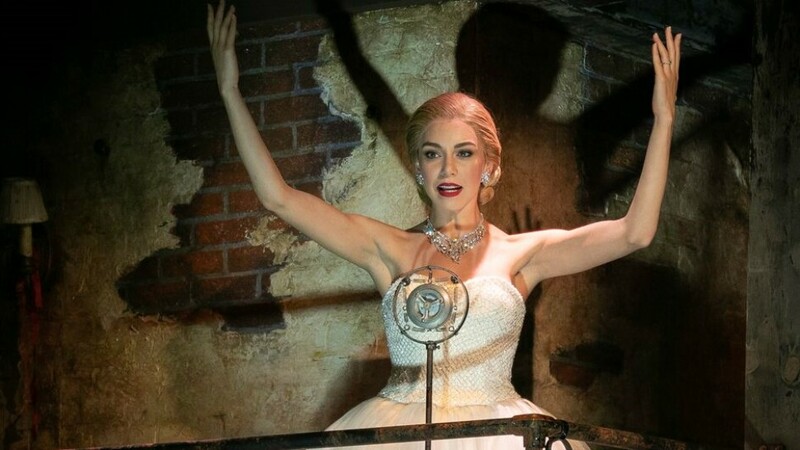 Directed by Will Pomerantz and choreographed by Marcos Santana, the Andrew Lloyd Webber and Tim Rice musical plays the New York venue July 31–August 26. The cast also features Kyle Barisich (The Phantom of the Opera, Bay Street’s My Fair Lady) as Magaldi and Gabi Campo (The Prom on Broadway) as The Mistress with Julian Alvarez, Edgar Cavazos, Lauren Csete, Elisa Galindez, Juan Guillen, Jose Ozuna, Dakota Quackenbush, Danelle Rivera, and Carolina Santos Read. The creative team includes music supervisor Aaron Jodoin, set designer Anna Louizos, lighting designer Mike Billings, costume designer Lindsay Davis, sound designer Jon Weston, prop designer Andrew Diaz, production stage manager Robert Bennett, and assistant stage manager Denise Yaney, with casting by Stewart/Whitley.